One common reason parents bring in their children into my office for counseling is that the child is having difficulty managing and regulating their emotions. 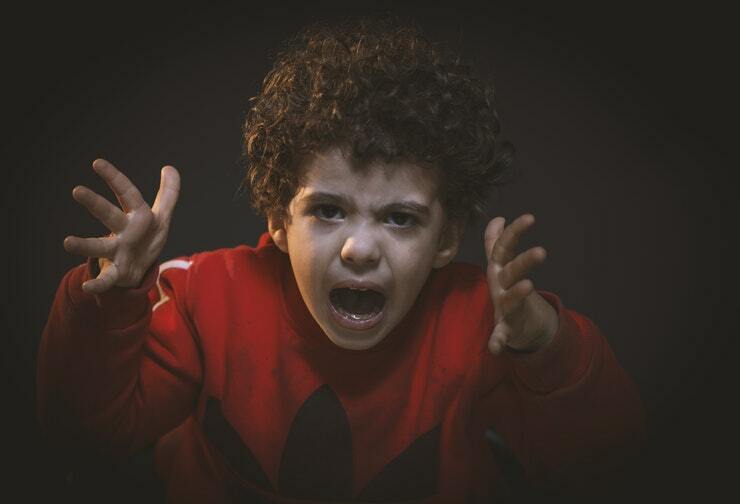 Parents will say their child easily gets upset over small things and quickly escalates into negative behaviors such as screaming, crying, throwing things, or hitting others, leaving the parents stunned and not sure how to respond. We can all agree that emotions can be intense, complicated, and confusing. And if the adults are having difficulty accepting, managing, and regulating emotions, well, it’s not surprising that children can also struggle. But here’s the thing: We tend to forget that children are not “little adults” and are still learning how to interpret and interact with the world around them. Meaning that while a child is learning to read, write, and do math, she is also learning how to get her emotional needs in her environment. Children will learn how to do this through observing and interacting with the world around them. One of my first goals in therapy is to increase emotional awareness in the child. When a child is able to be emotionally aware, she is able to identify her emotions and thoughts and can express her wants and needs. She can also build self-regulation skills, so her emotions can be controlled by expressing needs and wants appropriately. Lastly, children will build empathy and social skills by learning to understand emotions in others, helping build peer relationships. The most powerful way to increase emotional awareness in children is to normalize and allow discussions about emotions and thoughts at home. Parents can help children verbalize their emotional reactions to difficult situations. This way parents will give the child a chance to explore their feelings by talking with the child, all while setting limits. A second way is to build and learn emotional awareness skills is just like any skill in childhood, through play. In session and at home, parents can sit down and play with adapted board games to normalize and identify emotions and thoughts. All of these board games have been adapted by putting an emotion sticker in the pieces or the board. 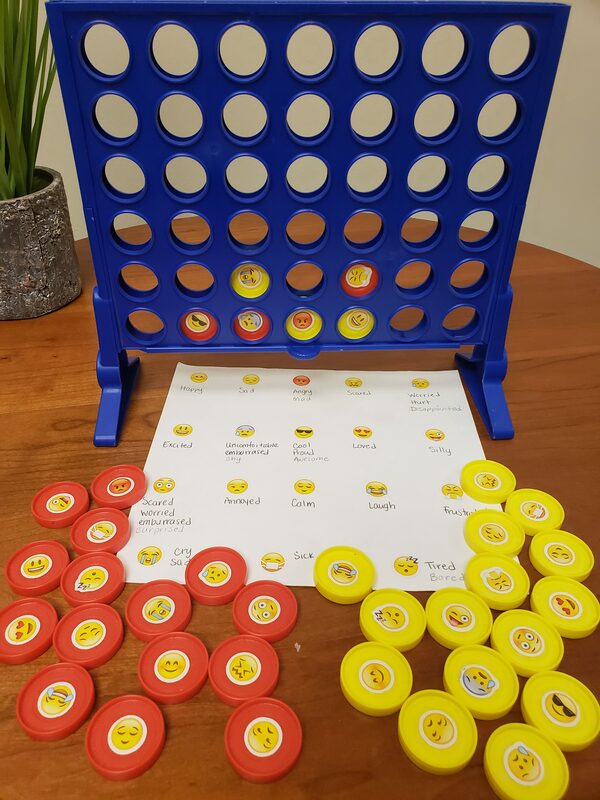 For example, in Connect Four, the yellow and red pieces have emotions stickers. When a player picks an emotion, they are to share a time they felt that emotion. The child gets a turn, but so does the parent. 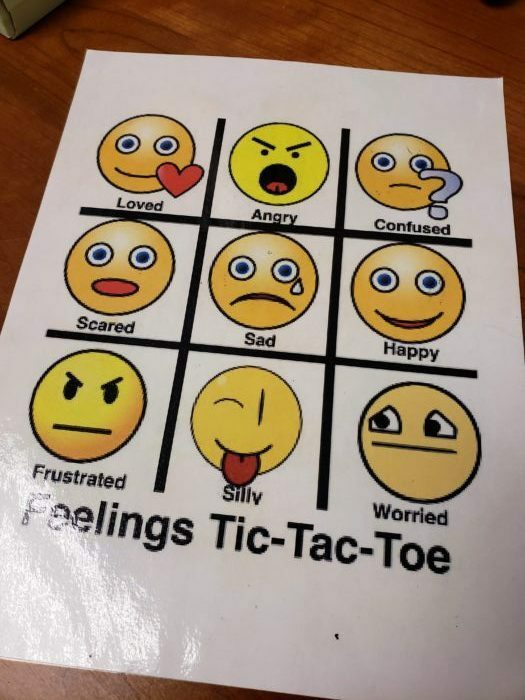 This allows for time and space for a child to share their feelings and thoughts. In addition, they hear how parents can also feel frustrated, angry, sad, or scared and how parents handle those emotions, providing for another opportunity for the child to learn navigate their own emotional needs. In any of these activities, parents are encouraged to provide their children words for their emotions or thoughts if their child struggles to do so on his own. Family lives are very busy, but by allowing the time and space for a child’s emotions and thoughts, children will learn the tools to manage their emotions when they are triggered as well as react appropriately without losing control of their emotions. Learn more about counseling and play therapy for children.